Criminal, the sort-of true-crime podcast from Radiotopia, is launching a spinoff. The project will focus on a topic that’s somewhat adjacent to the notions of crime, death, and murder: love. Called This Is Love, the new show will arrive as a short six-episode season that delivers stories on “sacrifice, obsession, and the ways in which we bet everything on each other,” according to Criminal host Phoebe Judge and producer Lauren Spohrer. The weekly podcast will debut on Valentine’s Day. Led by the North Carolinian team of Judge and Spohrer (with producer Nadia Wilson), Criminal has always been different than most of its genre peers. The show has built a singularly rich body of work over the years (it turns four next Monday), a collection of macabre and cerebral short stories that flicker at the edges of high literature. It’s often bloody, always gorgeous, and constantly surprising in how it unfolds the many layers of the concept that serves as its title. A recent episode explored the dark history behind the unique gait of a certain horse breed. Another resembles a classic haunted-house story, but resolves in a stranger place. An older, great two-parter traced the roots of two “murder ballads,” a musical oral history form that memorializes crimes of the past as pieces of culture. Fans should expect the team to apply the same expansive, thoughtful, and near-anthropological approach to the lighter subject of love. “We’re generally working in the same mode that we do with Crim — reading a genre broadly, but keeping the episodes specific to individual circumstance,” Spohrer tells me. “These aren’t love stories about couples succumbing to or overcoming romantic adversity. They’re stories about how we wander around being vulnerable and then do something daring.” Among the tales on the docket: a teenage girl who swims in the dark for hours trying to save a baby whale; a man’s unconventional devotion to his late wife and dedication to their two daughters; a woman’s life-altering obsession with Outlander (I can relate); and two men, thinking they’ll never be able to marry in their lifetime, who find an unusual solution to become a family. If it turns out that audiences can’t get enough of This Is Love as well, they won’t have to wait long for more. The team has prepared for another six episodes, to release in the fall if all goes well. And don’t worry about Criminal itself; that show is going nowhere, and will continue to publish new stories twice a month. 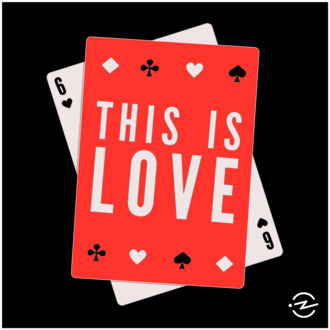 You can find This Is Love on Apple Podcasts.